Description Your goal is to get all the golden coins and escape the labyrinth as quickly as you can. To move the ninja, you have to rotate the labyrinth. As you advance through the 24 levels, you will master your ninja skills: fire, throwing stars and stealth. 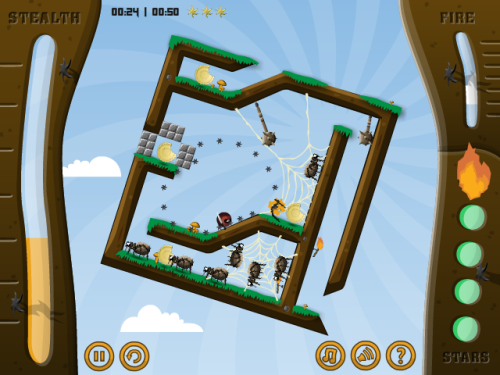 Avoid giant spiders and deadly traps!